Employers paying for workers' hours of work during their journey could bring "more productivity monitoring and accountability" with benefits for their employees, says researcher Juliet Jain. "If travel time would be counted as working time, there would be many social and economic implications, "said Juliet Jain, one of the University of England scientists, who interviewed several thousand commuters on trains in and out of London. "Many participants indicated how they view their commuting as time to catch up with work before or after their traditional work day," a study summary said. "This transitional period also allowed people to change roles, for example, from a parent who makes the children a headmistress in the morning." The study quotes a working mother named Katheryn and says, "It's really important to my health that I can work on the train, I'm a busy mom, and I rely on that time to get things done. Another commuter, Andrew, told the researchers, "It's a dead time in a way that allows me to get things done and not work in the evenings." The study notes that while the working rules vary In Norway, some commuters are already able to count travel time as part of their working day. The results of workers' use of smartphones and other devices highlight the importance of providing Wi-Fi to commuters, according to the scientists who presented their study Thursday at the Royal Geographical Society. 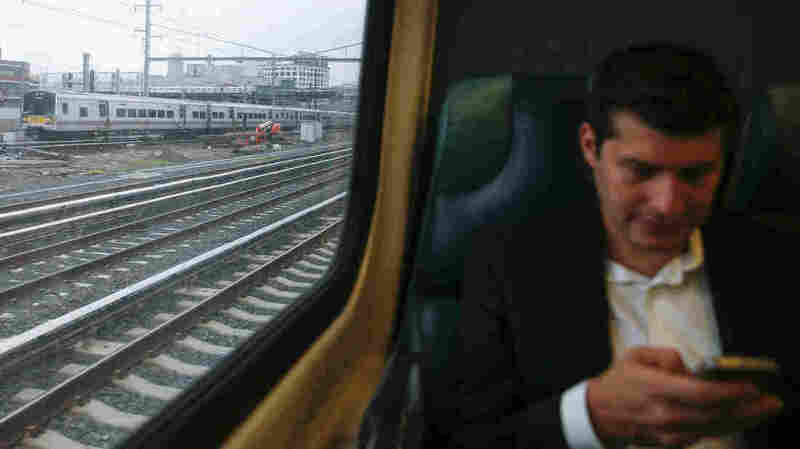 To collect the data, they focused on two train lines that increased the supply of free Wi-Fi. On the route from Birmingham to London, 60 percent of commuters are connected to the extended network. The results point to an increasingly complicated work-life discussion in which employees and their bosses debate what is considered "work" and "work" where the line between personal and professional time should be drawn. Jain said of the findings in a press release, "It may facilitate commuter pressure at peak times and allow more comfort and flexibility in working hours, but it could also be calling for more supervision and accountability for productivity." In addition to The potential impact on mass transit, highlighted by British researchers, may also appeal to workers using other means of transport on the clock. Take, for example, people who rely on ride-share companies to get to work. And the discussion seems to be widening in the near future, to include a looming wave of self-driving cars, which – at least theoretically – should make more driving time for motorists. As for the rail commuters, the researchers show their work shows that it's important that trains "provide a good work environment with tables, power, space, and good connectivity for Internet and phone calls."